Ayvazovsky is one of my favorite painters.He has stunning works which when I each time go to Russian Museum look at with admiration. Ivan Konstantinovich Ayvazovsky was born in the family of a merchant of Armenian origin in the town of Feodosia, Crimea. His parents were under strained circumstances and he spent his childhood in poverty. With the help of people who had noticed the talented youth, he entered the Simpheropol gymnasium, and then the St. Petersburg Academy of Arts, where he took the landscape painting course and was especially interested in marine landscapes. In the autumn of 1836 Ayvazovsky presented 5 marine pictures to the Academic exhibition, which were highly appreciated. In 1837, Ayvazovsky received the Major Gold Medal for Calm in the Gulf of Finland (1836) and The Great Roads at Kronstadt (1836), which allowed him to go on a long study trip abroad. However the artist first went to the Crimea to perfect himself in his chosen genre by painting the sea and views of Crimean coastal towns. During the period of 1840-1844 Ayvazovsky, as a pensioner of the Academy of Arts, spent time in Italy, traveled to Germany, France, Spain, and Holland. He worked much and had many exhibitions, meeting everywhere with success. He painted a lot of marine landscapes, which became very popular in Italy: The Bay of Naples by Moonlight (1842), Seashore. Calm (1843), Malta. Valetto Harbour (1844). His works were highly appreciated by J.W.M. Turner, a prominent English landscape and marine painter. In the course of his work, Ayvazovsky evolved his own method of depicting the motion of the sea – from memory, without preliminary sketches, limiting himself to rough pencil outlines. Ayvazovsky’s phenomenal memory and romantic imagination allowed him to do all this with incomparable brilliance. The development of this new method reflected the spirit of the age, when the ever-increasing romantic tendencies put an artist's imagination to the front. When in 1844 the artist returned to St. Petersburg, he was awarded the title of Academician, and became attached to the General Naval Headquarters. This allowed him to travel much with Russian fleet expeditions on different missions; he visited Turkey, Greece, Egypt, America. From 1846 to 1848 he painted several canvases with naval warfare as the subject; the pictures portrayed historical battles of the Russian Fleet The Battle of Chesme (1848), The Battle in the Chios Channel (1848), Meeting of the Brig Mercury with the Russian Squadron... (1848). Towards the 1850s the romantic features in Aivazovsky’s work became increasingly pronounced. This can be seen quite clearly in one of his best and most famous paintings The Tenth Wave (1850) and also in Moonlit Night (1849), The Sea. Koktebel. (1853), Storm (1854) and others. The process, which determined the development of Russian art in the second half of the 19th century, also affected Ayvazovsky. A new and consistently realistic tendency appeared in his work, although the romantic features still remained. The artist's greatest achievement of this period is The Black Sea (1881), a picture showing the nature of the sea, eternally alive, always in motion. Other important pictures of the late years are The Rainbow (1873), Shipwreck (1876), The Billow (1889), The Mary Caught in a Storm (1892). 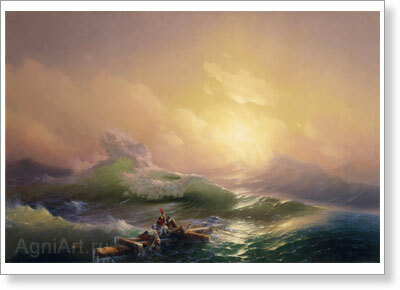 Ayvazovsky left more than 6000 pictures, which are of very different value. There are masterpieces and there are very timid works. He failed to draw landscapes, could not draw a man. Aivazovsky got good commissions and became rich. 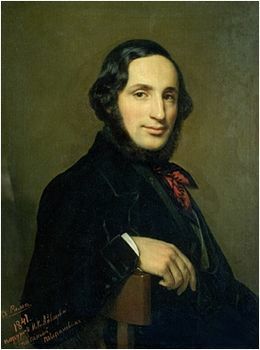 He spent much money for charity, especially for his native town, he opened in Feodosia the first School of Arts (in 1865), then the Art Gallery (in 1889). He was a member of Academies of Stuttgart, Florence, Rome and Amsterdam. I'm experiencing some minor security problems with my latest site and I'd like to find something more safe. There's certainly a lot to know about this issue. I really like all of the points you've made. best in its niche. Good blog! for not positioning this publish higher! Come on over and visit my website . it helps new web viewers, who are wishing for blogging.